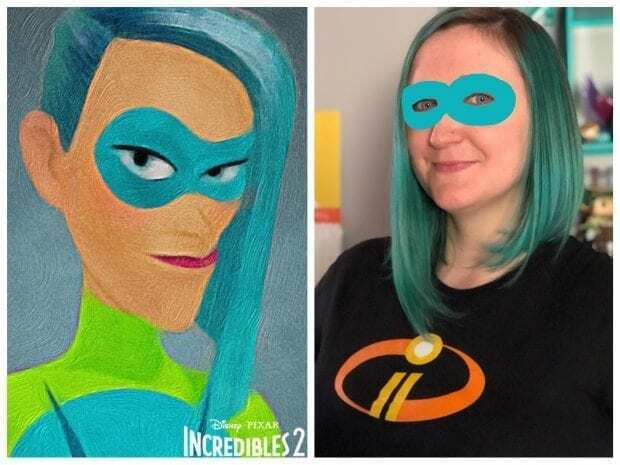 I recently decided to cut my hair in a new asymmetrical bob, and while I was playing the new Incredibles game with my girls, JaMonkey noticed that my new haircut looked exactly like one of the new characters from Incredibles 2. I decided to do a side by side to see what she means. I think she may be right! I cut my hair just like Voyd from Incredibles 2! Thank you to Disney Pixar for bringing me to Pixar Studios for the Incredibles 2 press event. 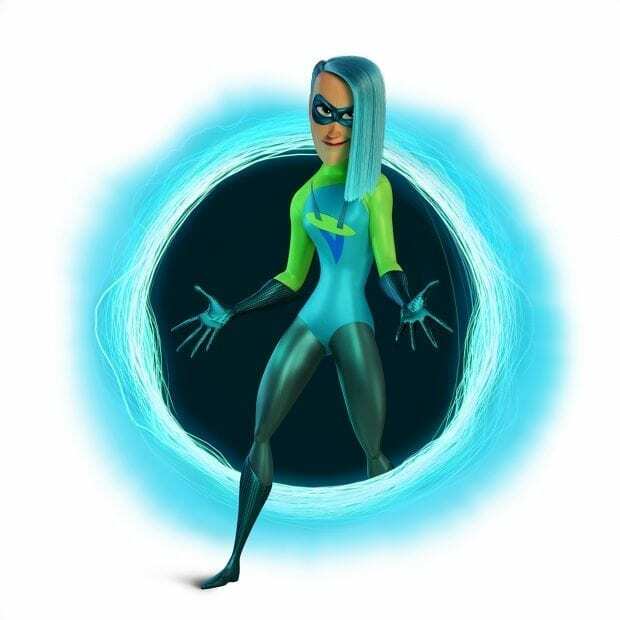 Voyd is one of the new supers that we meet in Incredibles 2 out in theaters today. Her character is played by Sophia Bush, and she is an enthusiastic recruit that has some pretty awesome powers. She can divert and manipulate objects around her. Seeing her in action was one of my favorite aspects of the movie. I fell in love with her character. I also feel like they may have set up a future spin-off movie or show series for her and the younger Super generations. Maybe that's my wishful thinking though. Voyd is a mega fan of Elastigirl's, and she is completely star struck upon meeting her. That enthusiasm makes her a stuttering mess at times that needs reassurance, but her skills prove to be quite useful. Voyd is a bubbly new generation of Supers that joins the ranks of the pros. She's never been able to use her abilities before, so this team is a great first experience. Incredibles 2 is out in theaters today, and it was well worth the wait. The movie picks up right where the last one ends with the Underminer coming through the ground of Metroville. The family kicks into gear to try and stop him and catches the eye of Winston Deavor, a mogul that is looking to get the laws changed to allow Supers to help again. He enlists the help of Elastigirl to the be the face of this change. That leaves Mr. Incredible to be the stay at home dad to Violet, Dash, and Jack-Jack. The family isn't aware of Jack-Jack's powers yet though. If you recall from the last movie, he uses his powers high in the air with Syndrome and the family doesn't see him changing. Bob Parr has his hands full when it comes to his teenage daughter, struggling elementary schooler, and baby that is changing every day. It's a story that we can all relate to in life, either as mothers or as a child. Bob is an amazing father despite being exhausted. When it comes to Jack-Jack, he needs a little extra help. He is quite the scene stealer in the whole movie. We got to see an amazing fight scene of Jack-Jack and the raccoon fighting at the D23 Expo, and it is hilarious. I'm so glad that we finally get the see the completed version that highlights some of Jack-Jack's many powers. Who better to help all these new challenges then Edna Mode, darling. Edna and Jack-Jack are hilarious together. 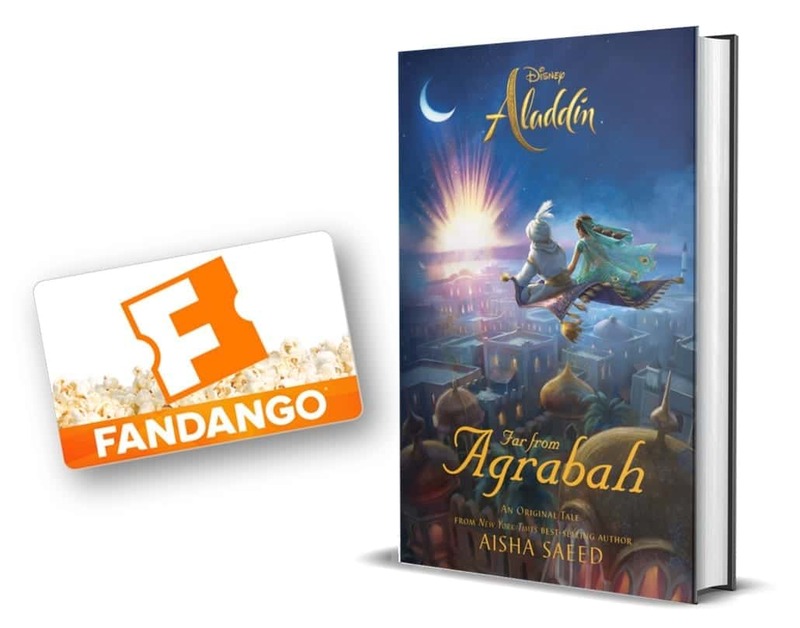 They steal the movie! 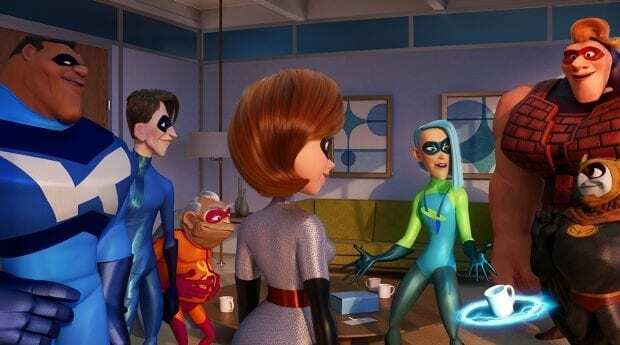 A BIT OF A STRETCH – Elastigirl is called on to lead a campaign to bring Supers back in “Incredibles 2”—a mission that involves a helicopter chase among other Incredible stunts. 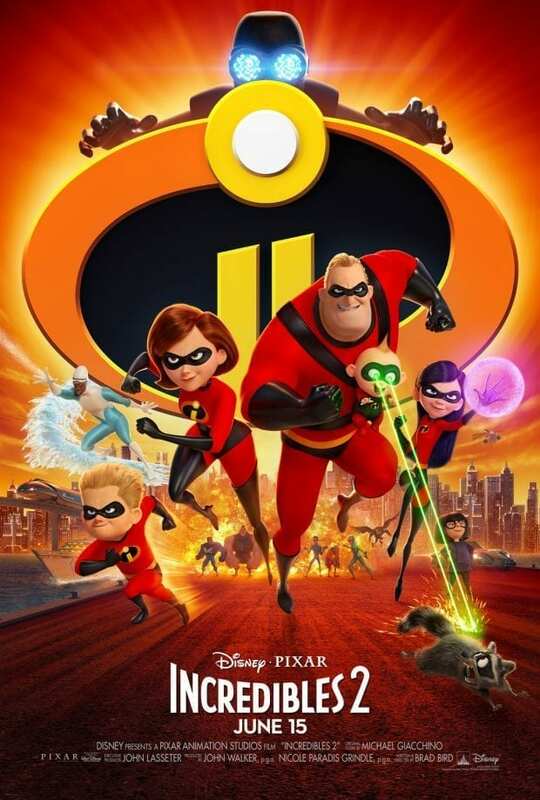 Featuring Holly Hunter as the voice of Helen aka Elastigirl, “Incredibles 2” opens in U.S. theaters on June 15, 2018. ©2018 Disney•Pixar. All Rights Reserved. Seeing Elastigirl in action is also a huge highlight of the movie. It speaks to women in the workforce while taking care of a family as well. She is great at what she does, all of it. Make sure you check out Incredibles 2 in theaters!